New Home for the Holidays! Retreat’s newest residents moved into their new home just before Christmas. 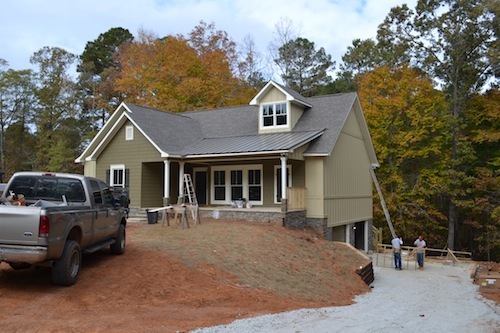 Above is a picture of the home nearing completion. This entry was posted in Retreat News. Bookmark the permalink. ← New Construction on Lot 216!